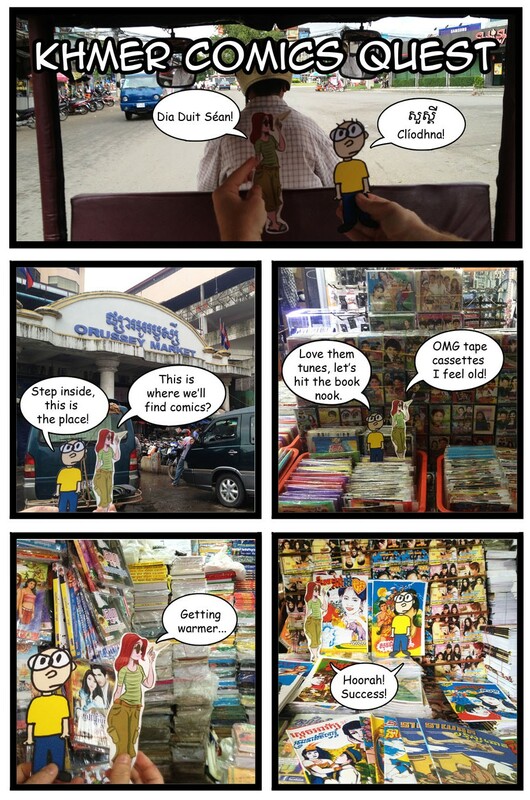 Here in Cambodia - land it can be a challenge to get updates on global comics. So it was great to get news as well as talk theory & practice with a traveling comic artist. You can see her work online at Ztoical.com, track her journey via her blog, and stay tuned for a brief exhibition of her Cambodia sketches at Rik Reay Gallery / Noodle Shop in August!